Includes: Leaders Guide, Student Workbook, Activity Guide, Suggested Nightly Format, Timeline for a Successful Group, Promo Material. Note: The 12 Week Curriculum Kit must be ordered before ordering individual Leader Guides, Student Workbooks and Activity Guides. A detailed book containing 140 pages of activities, ice breakers, mixers, skits and attachments to keep teens growing and learning through their healing process. A detailed guide to help you conduct a Weekend Event for teens ages 12 to 18. 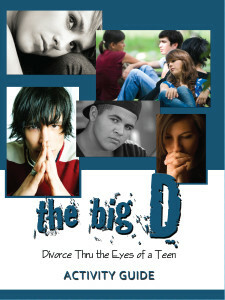 A detailed guide to help lead a 12 week program designed for teens ages 12 to 18. Order both and save BIG! Only one activity guide included when purchasing both. A workbook teens use when attending the Weekend Event. 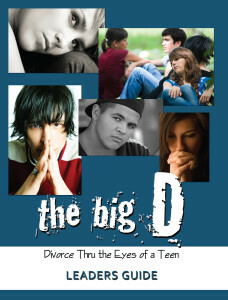 A workbook teens use when going through the 12 Week program. 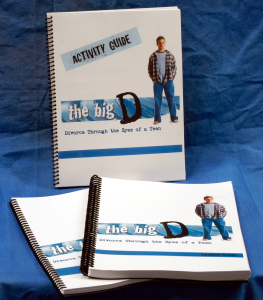 Includes: Leader Guide, Student Workbook, Activity Guide, Sample Agendas, Timeline for a Successful Event, Promo Material. Weekend Curriculum Kit must be ordered before ordering individual Leaders Guides, Student Workbook and Activity Guides. Jump from lily pad to lily pad and discover the secret to overcoming the hurts of the grief cycle. Great tool to be used at home or in your children’s ministries to promote healing. Ride the roller coaster of emotions and feel the thrill of finishing a winner. 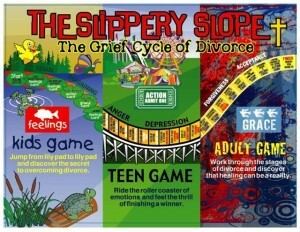 Great tool to be used at home or in your youth ministries to promote healing. 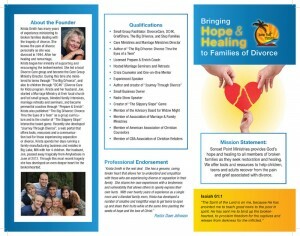 Specifically designed to adults experiencing a separation or divorce. This is a great tool to be used with your Recovery Groups. Buy all three and save. Equip your Recovery Ministry with all three games and save.